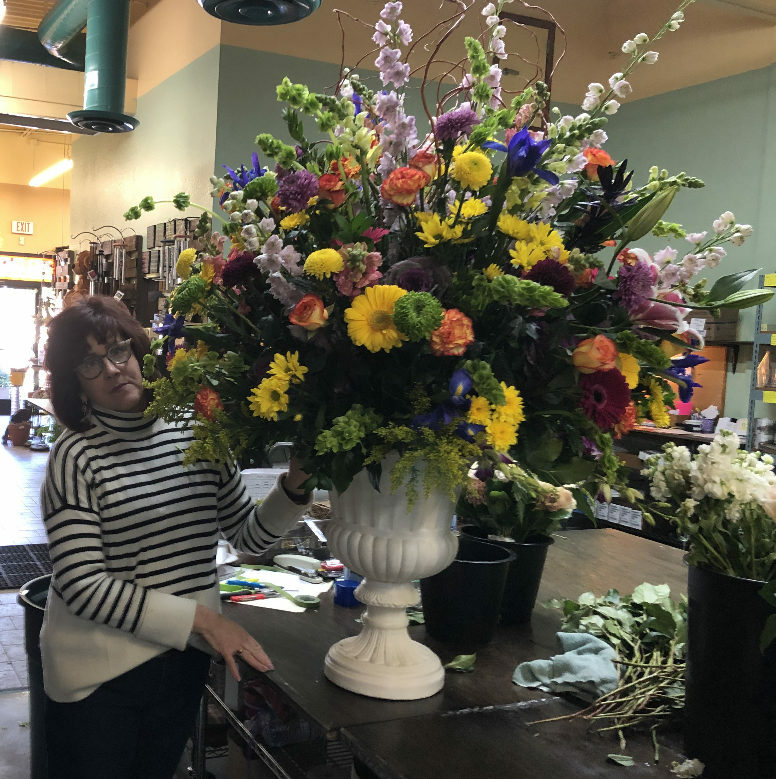 The process involved in making a grandiose floral arrangement is quite extensive but Bobbie’s lead designer Paula has over twenty years of experience and decided to capture each step of the creation process. 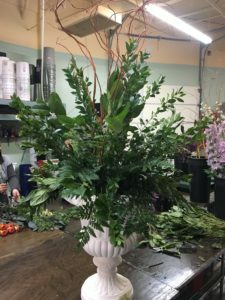 We started with a 20″ tall x 14″ wide urn. First, we prepped the container with four blocks of oasis and secured it with bowl tape. We saturated the foam to make sure the flowers would be fully hydrated. Using the principal of the thickest stems going in first, we inserted several sticks of curly willow to give a free form decorative touch. 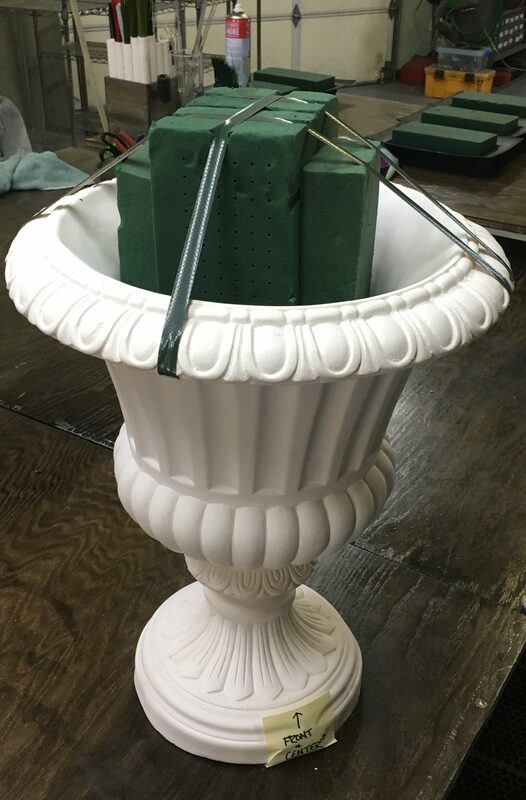 Next we began inserting some greenery; myrtle followed by lemon leaf and some leather leaf were used to create a nice full effect and serve the mechanics of covering the tape and foam. Now the fun stuff…. 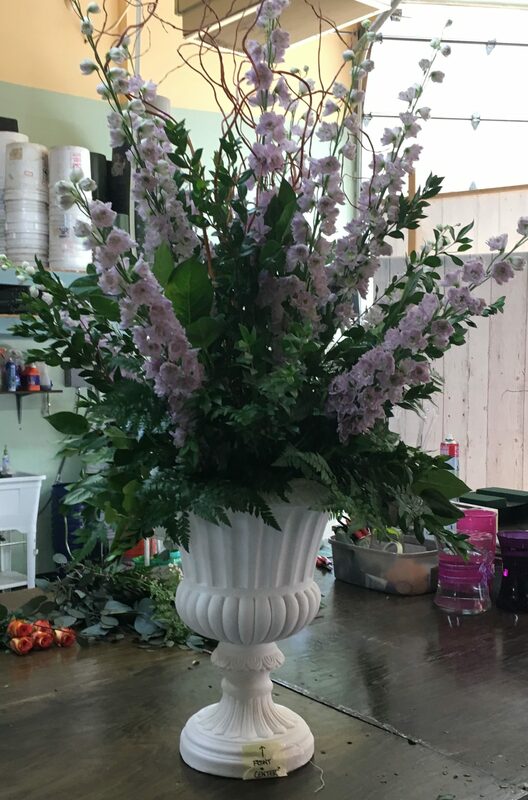 Beautiful, thick stems of lavender hybrid delphinium were inserted, starting at the top and working our way around. We used gigantic ornamental kale from ____ to create impact. Bells of Ireland were used to give a freeform round effect. 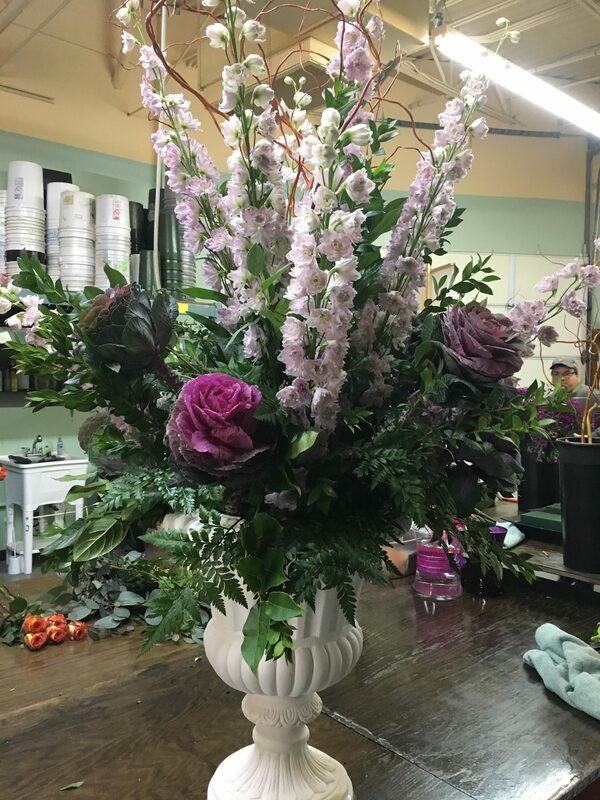 Ball disbud and snapdragons in bright colors were used to begin filling in the shape. 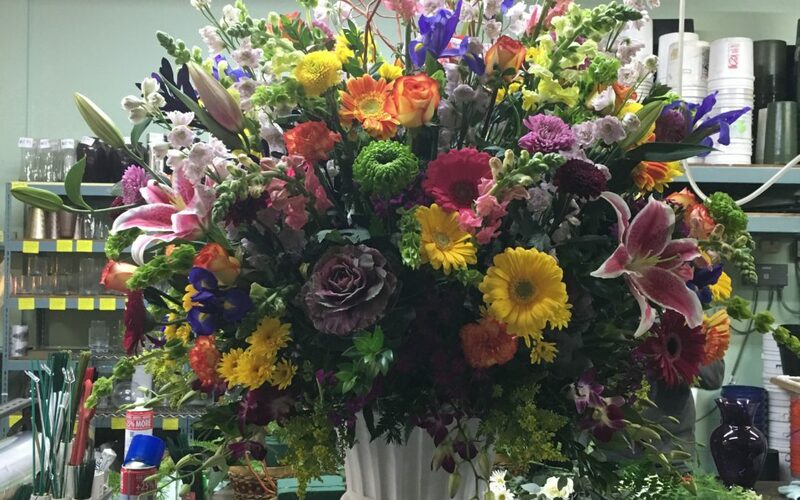 Variagated novelty carnations, high & magic roses and bold gerbera daisies were added to make a showy full mix. We then filled in with beautiful purple iris, vivid yellow daisy poms and yellow solidago. We added a fun and unique touch of deep purple integrifolia. 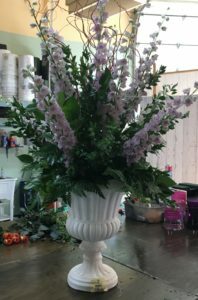 For a finishing touch we added a few stems of gorgeous stargazer lillies and completed our shape with deep purple dendrobium orchids. 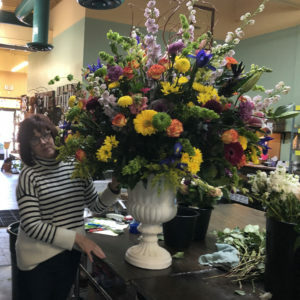 We used over 125 flowers in this masterpiece and had to take photos next to Paula, the designer to show its scale. It took two men and a very large van to deliver. 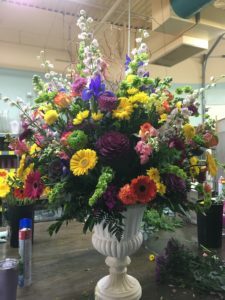 We don’t do large arrangements like this every day, but they sure are fun to make!